Say goodbye to the pigmentation putting a damper on your complexion with this amazing cocktail of potent - but SAFE - lightening ingredients. Intense combination of actives that will help to brighten the skin as well as reduce the appearance of dark spots and discolorations. Our Fade-Bright Serum provides even, fast-acting pigment inhibition. The combination of Alpha Arbutin, Kojic Acid, Licorice, Mulberry, Bearberry, Resveratrol and Lactic acid will help to brighten the skin as well as reduce the appearance of dark spots and discolorations. This combination of ingredients will act faster, safer and more efficiently than commonly used bleaching creams with a single component - without irritation. Repeated daily use required to achieve desired results. Best results are seen after 4-6 weeks of use. Use of sun protection is required. **IF you have dark skin and are thinking about doing a peel - use this every day for at least 2 weeks to prepare your skin. We want to make this as EASY as possible for you to understand. So, if you prefer videos, let our CEO tell you all about our special Fade Bright in this video and skip the reading. The skin color is determined by the interaction of different colorants. Indeed, the red staining agent of blood, hemoglobin, is responsible for reddish and bluish shades, while carotenoids are responsible for the basic yellow shade of skin. The brown coloration results from the pigments eumelanin and phaeomelanin, which are produced in special epidermal cells, the so-called melanocytes. The enzyme tyrosinase, usually present in an inactive form, is formed in these melanocytes. Its activation by UV light triggers off melanogenesis, i.e. a complex series of enzymatic chemical reactions which finally lead to the formation of melanins. The efficient blocking of tyrosinase inhibits the reaction chain of melanogenesis. Today many developments target efficient and fast enzyme-blocking properties without any side effects. ALPHA-ARBUTIN meets all the requirements of a modern skin-lightening and skin depigmentation product. 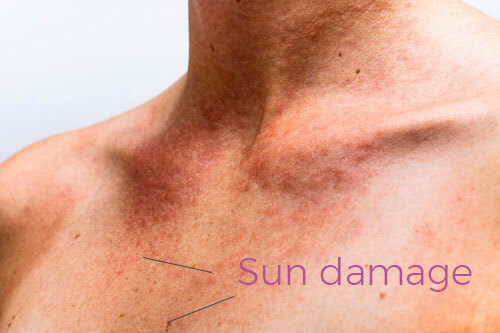 Are you dealing with epidermal or dermal melasma? 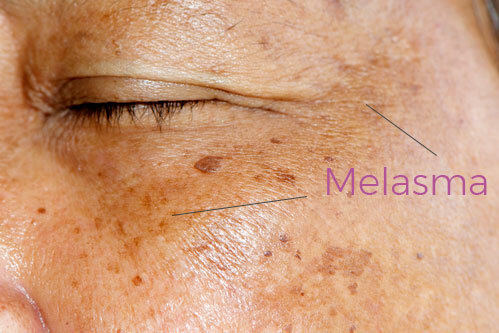 One thing that is VERY important to understand, is that melasma is a chronic condition and there is no cure! 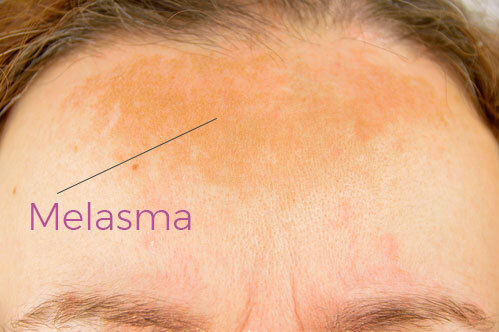 No matter what "miracle stories" you have heard on the internet, melasma will be a lifelong battle. You will find that melasma is quite difficult to treat, and it can be a long process taking several months up to a year or more, to get a satisfying result. Most lasers do not work well with melasma and end up causing further discoloration. So, the best treatments for this are medium depth peels like a TCA 13% at 2-4 layers, mixed with retinol use and topical lightening products such as Fade Bright and antioxidants such as High Octane Vitamin C Seurm. Diligently apply your UVA and UVB SPF daily as well. Every 4 hours is recommended if you have melasma and will be spending time outdoors. Likewise, grab (or purchase) a wide brimmed hat and wear that whenever possible. ALPHA-ARBUTIN is a pure, water-soluble, biosynthetic active ingredient. ALPHA- ARBUTIN promotes lightening and an even skin tone on all skin types. ALPHA-ARBUTIN blocks epidermal melanin biosynthesis by inhibiting enzymatic oxidation of tyrosine and Dopa. ALPHA-ARBUTIN acts faster, safer and more efficiently than commonly used single components such as hydroquinone, Kojic acid... You will find that is does not cause the irritation that *Hydroquinone does, AND it works much more efficiently! *Hydroquinone should only be used under medical supervision, as long-term use can lead to the condition exogenous ochronosis, a grey-brown or blue-black hyperpigmentation of the skin that is permanent. HQ is also a potential carcinogen, and has been banned from many countries. Yet another reason to look into a different category of pigmentation inhibitors such as our Fade Bright. Regu(R)-fade (INCI Resveratrol) - helps to reduce the appearance of skin pigmentation resulting in noticeably brighter, younger-looking skin. It uses pure nature-identical trans-resveratrol that is free from pesticides and emodin. Resveratrol is a known potent antioxidant found in red grapes and associated with various health benefits. Sometimes it is easier to understand what your regimen should be by watching a video. Especially with pigmentation or melasma you will need to use more than just a singular product to treat your problem. Apply 1 pump to freshly cleansed skin before any other treatments. Use daily to lighten and brighten the skin tone. Always use an SPF of 30 to protect your skin from future pigmentation. *If you have pigmented skin, darker skin or are prone to hyper-pigmentation, then follow Pre-Peel Directions. PRE-PEEL Directions: Apply this product 1-2x daily for 10-14 consecutive days prior to performing a chemical peel to help reduce* the chances of post-inflammatory pigmentation. POST-PEEL Directions: Continue daily application of Fade-Bright on day 4 post-peel* to help with future pigmentation. *Using this product does not guarantee that post-inflammatory pigmentation will not occur after a peel, but its usage will reduce the likeliness.